Considering many of us spend more of our waking hours at work than with friends and family, it’s little wonder that workplace mental health is becoming a more of a focus for healthcare professionals. At this time of year, stress is at an all-time high for most people, both at work and at home. With the silly season on the way, taking care of our mental health is incredibly important. Maintaining our mental health should involve having an effective self-care routine in place. Any good self-care routine will include proper nutrition, adequate exercise, and some time to relax and reflect. Unfortunately, these activities are generally done before or after work; however, the workplace itself is often overlooked when it comes to self-care. According to Safe Work Australia, 6% of all serious workers’ compensation claims are for mental health disorders, and 23% of all mental health concerns at work arise as a result of work-related pressure. An astonishing 7,200 Australians will be compensated for mental health-related claims each year. Needless to say, there are far more cases of workplace mental health disorders which go unreported and unclaimed. The occupations most at risk are defence force personnel, fire fighters and police, followed closely by teachers and healthcare workers. Of course, any of us can be subject to workplace stress and mental health concerns, regardless of our occupation. Clearly, taking the time to create a proper self-care routine within the workplace is critical to maintaining our overall mental well-being. It’s also critical to employers, if they’re to maintain a productive and healthy workforce. In this article, we offer several tips for both individuals and workplaces to create an effective workplace self-care routine. In today’s face-paced world, many of us fall victim to the desire to push ourselves to the limit at work. Working longer hours, missing important events in our personal lives, and dedicating much of our ‘home time’ to checking work emails have become somewhat the norm. Not only have studies shown that overworked employees are less productive, these behaviours can also have serious consequences for employees’ physical and mental health. Setting clear boundaries around work – including the amount time spent at work, and not taking work home, where possible – will go a long way to maintaining workplace mental health. 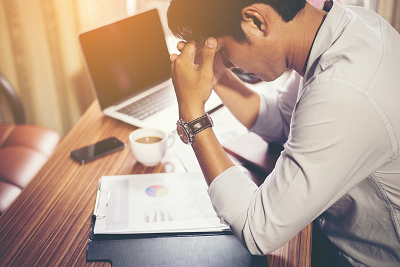 Many workplaces are taking the mental health of their employees more seriously these days, and putting into place support services, activities and guidelines which aim to maintain their employees’ mental health. The end of the year can be incredibly stressful for employees, who are dealing with preparing for the holiday seasons at home, as well as an increased workload before the end-of-year wind down. If your workplace has not yet put a workplace mental health initiative into practice, now is a great time to consider bringing this to the attention of management. Evidence suggest that most people can only concentrate on one task for around 20 minutes, before beginning to lose focus. Furthermore, studies show that the average worker is only productive for around 2 hours and 53 minutes of the average 8-hour workday. Whilst it’s unlikely that most workplaces would favour a 3-hour workday for their employees, encouraging regular breaks can help to overcome the ‘productivity cliff’ that tends to occur. Regular breaks – whether to eat lunch or simply leave the workplace briefly for a walk – can increase productivity, decrease stress, and improve the rates of illness and sick leave in the workforce. Often, our workloads can seem overwhelming. Many employees are under a great amount of stress each day, to get through their workload and perform at their peak. Unfortunately, this kind of pressure can result in less productivity, increased rates of stress, and have negative impacts on our mental and physical well-being. As individuals, taking some time to create a clear list of priorities for each day can help to reduce stress and increase focus at work. Furthermore, taking the time to complete each task before moving on to another (or multitasking) can prove a much more effective way to manage the workday. Taking regular breaks is important for any effective self-care routine. However, ensuring that these breaks are really ‘breaks’ is critical. Too many employees fall into the ‘lunch at the desk’ trap, in an effort to squeeze more productive work time out of each day. This can have the opposite effect, in reality, and should be avoided if at all possible. Taking an actual break from the workplace, or at least away from our desks, is important if we’re to recharge our minds and bodies effectively. Workers who have taken a proper lunch break away from their desks are more prepared to get back to work with renewed energy and focus. Asking for help when we’re overwhelmed is important in every aspect of our lives. Employees who feel ‘over their heads’ are much more likely to suffer from stress and, in turn, experience negative mental health consequences. Workplaces that encourage employees to ask for help are much more likely to enjoy a happy and healthy workforce. If you’re struggling at work personally, consider asking colleagues or management for some assistance; it can have positive effects on both your mental health and your productivity at work. The term ‘self-care’ is becoming more widely used each year, as we begin to understand how important this practice can be for maintaining our mental health. Too often, however, self-care is overlooked at work. By implementing a dedicated workplace self-care routine, we can greatly improve our well-being, whilst simultaneously enhancing our productivity at work. If you’re struggling with stress at work or at home and need help to create your own effective self-care routine, Integrated Health Specialists can support you. Reach out today to find out more about our psychology, counselling and life coaching services.